The Jeep Wrangler platform is the most versatile and widely modified platforms in the history of automobiles. No other vehicle on the planet can negotiate such varied terrain as a Wrangler. Whether you cruise around town in your daily driver, hit the trails on the weekends, or live life offroad, we want to get you the best Jeep Wrangler shocks possible. If you're looking for a shock absorber to replace your worn out factory parts, there's tons of options, but only a few you should pay attention to. If you're a true Jeeper, those factory shocks are not going to last you past 40-50k, often less depending on your location. Our recommendations below are all Monotube design, which are proven to dampen better than off-the-shelf twin tube shocks (white can). The industry standard by which most other shocks are measured against, these shocks will outlast anything of comparable cost, usually going 75-100k miles. 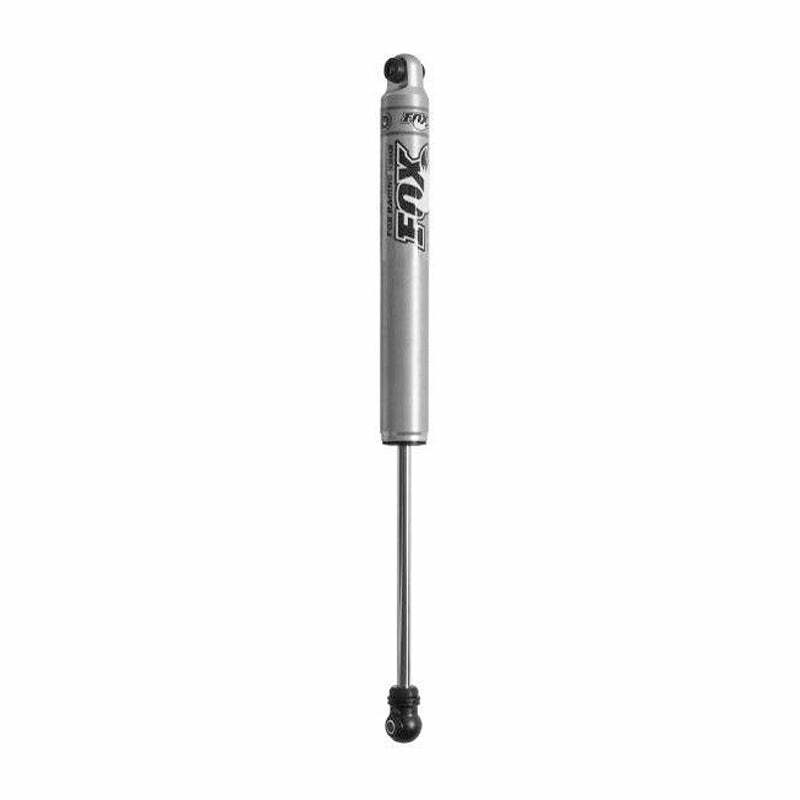 High pressurized gas, monotube design, these shocks are excellent for Jeeps that do a little more than highways, these excel at soaking up potholes like no one's business, and can handle towing and heavier loads with ease. Rancho RS7000 is Rancho's signature monotube gas shock, providing the most consistent ride characteristics through progressive design. These shocks have more travel available compared to the twin tube counterparts (RS5000 / RS9000), due to the monotube design. 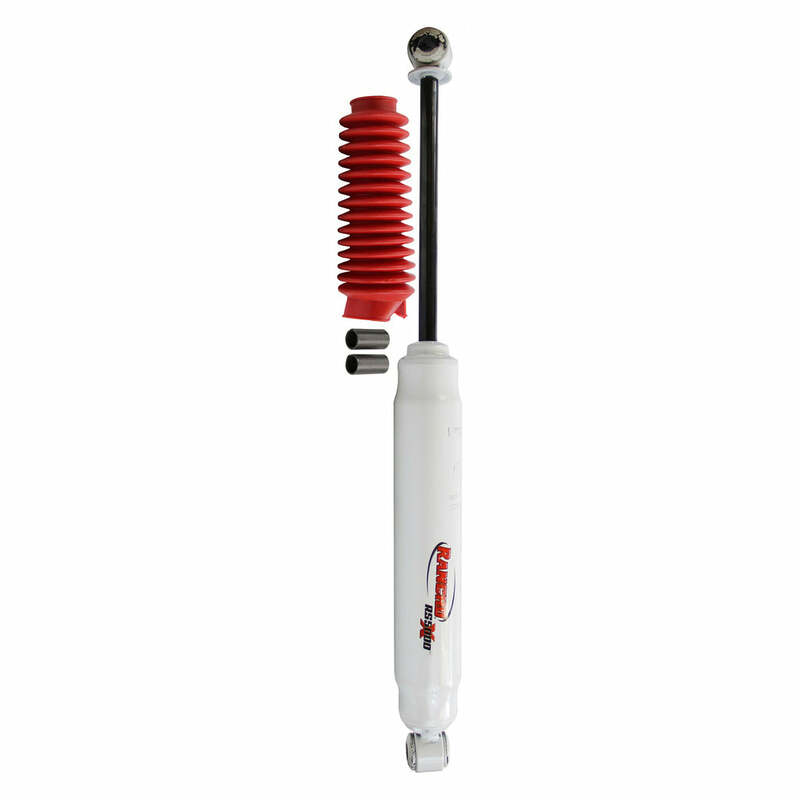 We recommend these shocks if you're considering going with Rancho. KYB Gas-A-Just monotube shocks are the best option for drivers looking for an exact factory replacement part and ride quality. If you want the closest thing to factory like ride, and how your Jeep came off the lot, we usually recommend KYB. This is our most popular category for the Wrangler, beach, rocks, mountains, trails, creeks, donuts, duh? If you're off-road just as much as you're on road, and still value a decent ride on the highway, check these recommendations. 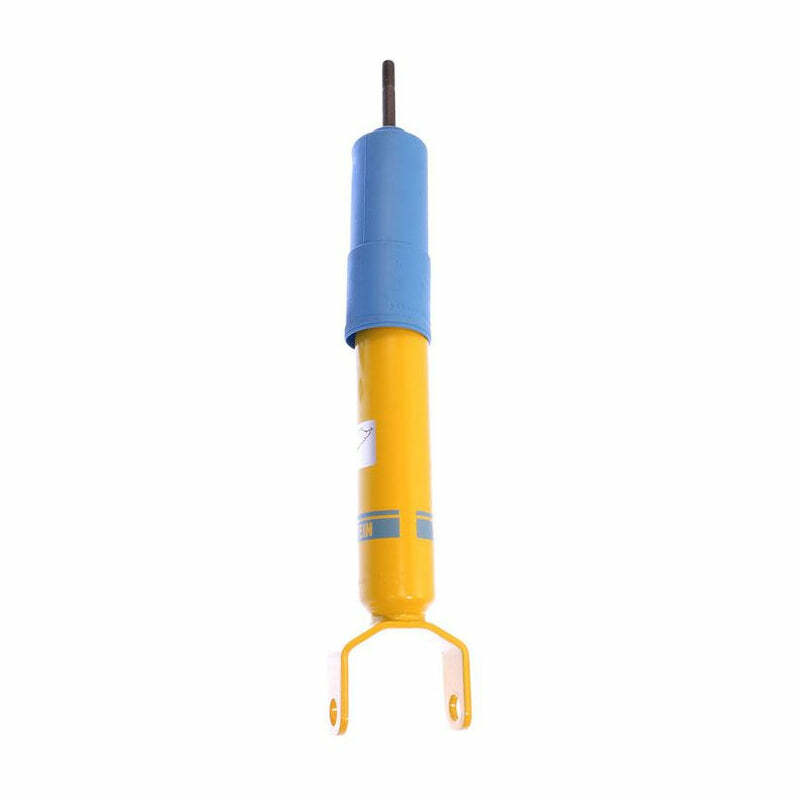 The Bilstein 5100 is one of our best sellers for the Wrangler platform, its a zinc-plated monotube gas shock which is great for moderate offroad use at lower speeds, rock crawling, and other aggressive terrain. Our most popular seller, the 5100 series provides great control offroad, while still maintaining a consistent controlled ride on the highway. 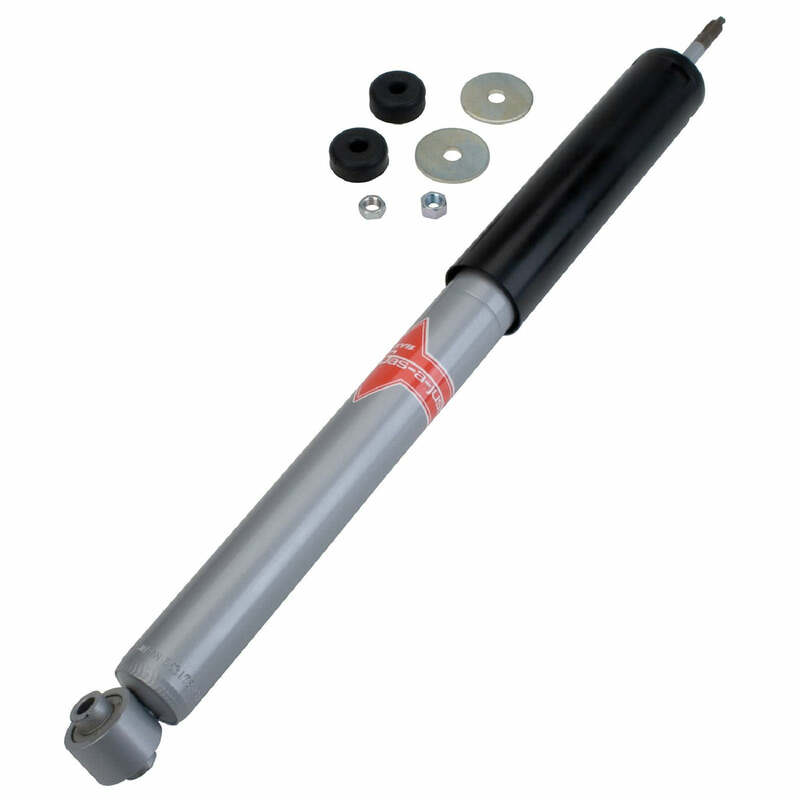 Providing firmer dampening over a factory shock, or the 4600 series, these shocks help reduce body roll, and resist fade, with exceptionally long life. These shocks are the go-to shock for trucks and Jeeps that are daily drivers and weekend warriors. Rancho RS5000X Gas shocks are near identical to the factory shocks on a Wrangler, these shocks feature a 2.25” body and a 1.375” internal dampening piston. 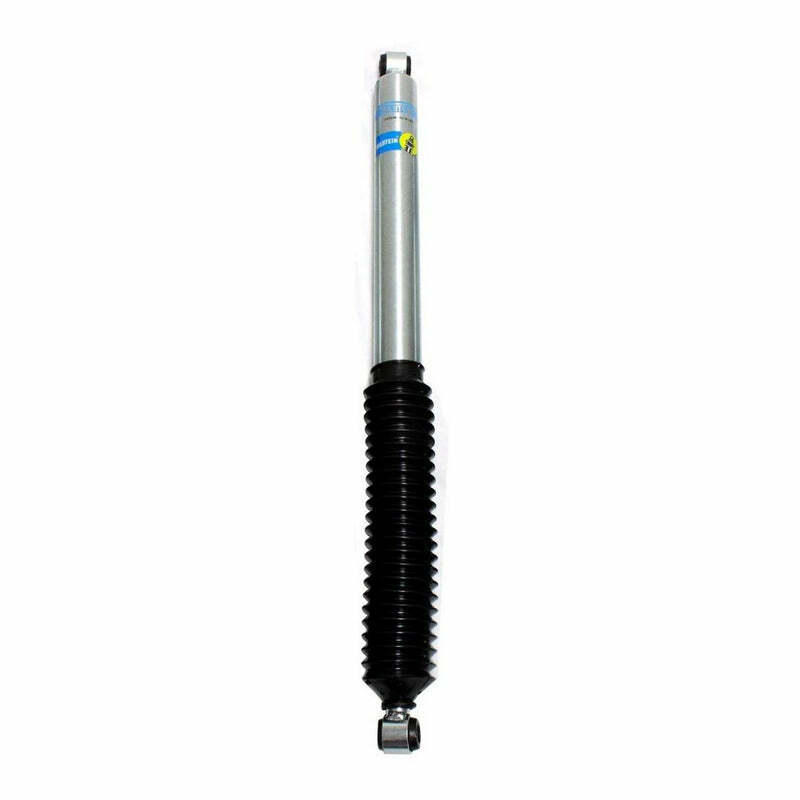 These same shocks are featured on numerous Jeeps and full size trucks from the manufacturer. The RS5000X are a great budget option for a daily driver that sees the trails and mountains on the weekend. The Nitrocharger Sport shock is one of the best heavy duty twin tube shock available for a do-everything-Wrangler. 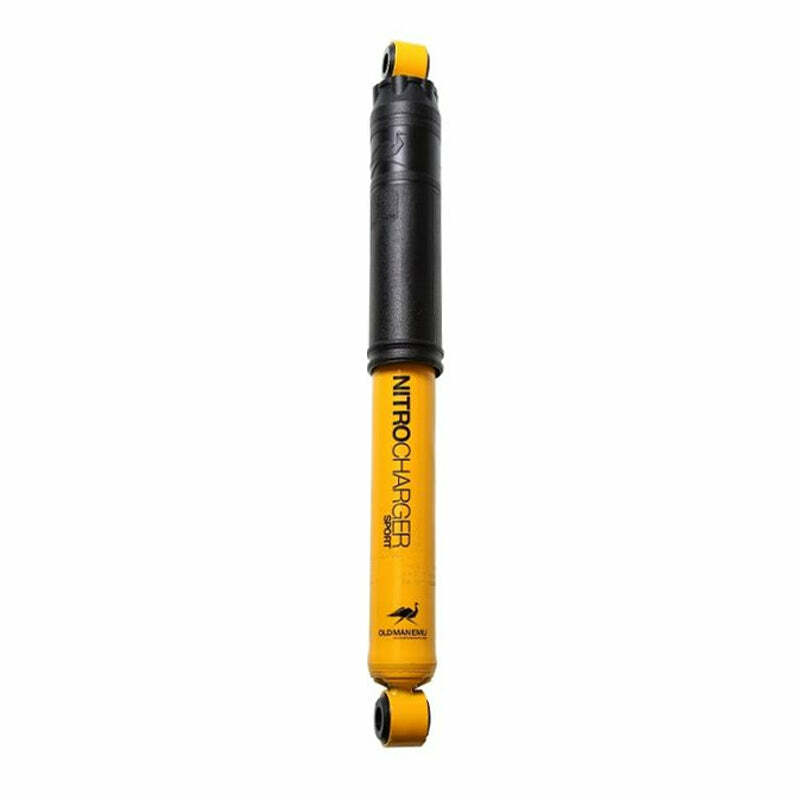 Exceedingly durable in tough conditions, these shocks have incredible longevity, and their designs allow for the ultimate protection against offroad debris and obstacles. Designed in Australia for the outback, Old Man Emu’s Nitrocharger Sport shock is the go-to damper for offroad enthusiast and extremely rugged vehicles. These shocks are for serious off road 4x4'rs, who want a dependable long lasting shock, perhaps rebuildable, that gives the best control available. 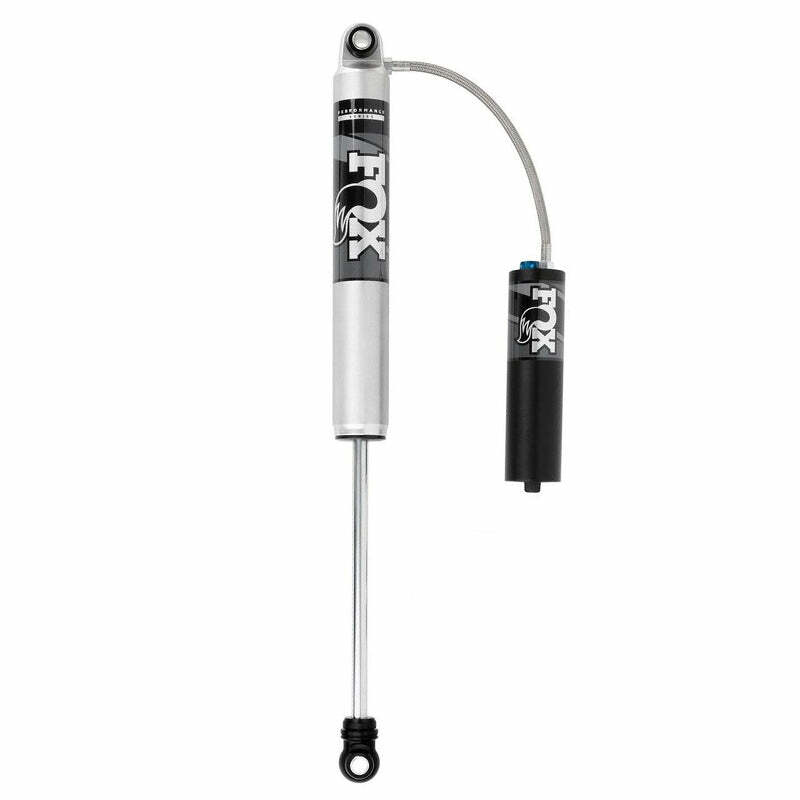 The two most popular options here are Fox and King shocks, both who have a long history of racing offroad and shock absorber manufacturing. There have been numerous new players with some impressive shock products coming to market, namely ICON, Fabtech, Sway Away, and Teraflex. 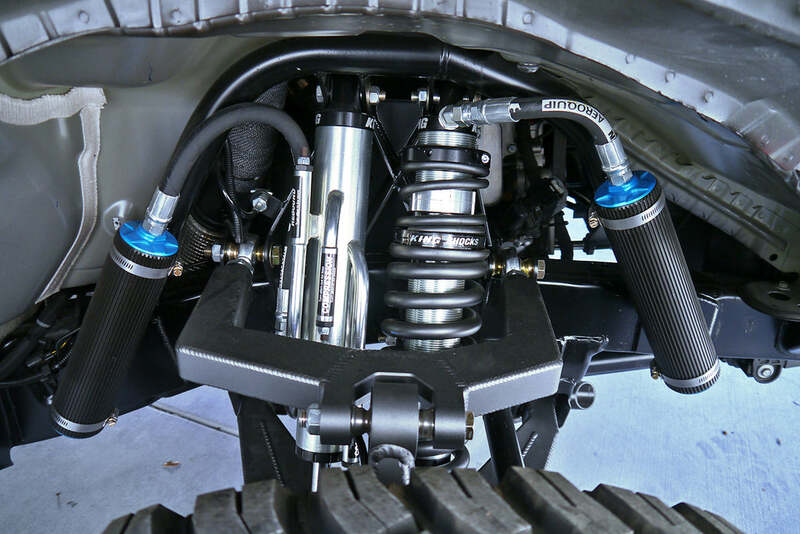 Something to consider when installing new heavy duty bumpers for the Jeep Wrangler is to take into account the additional weight and how that changes the requirements of the front springs and shock dampening. The go-to offroad shock for the Jeep Wrangler. 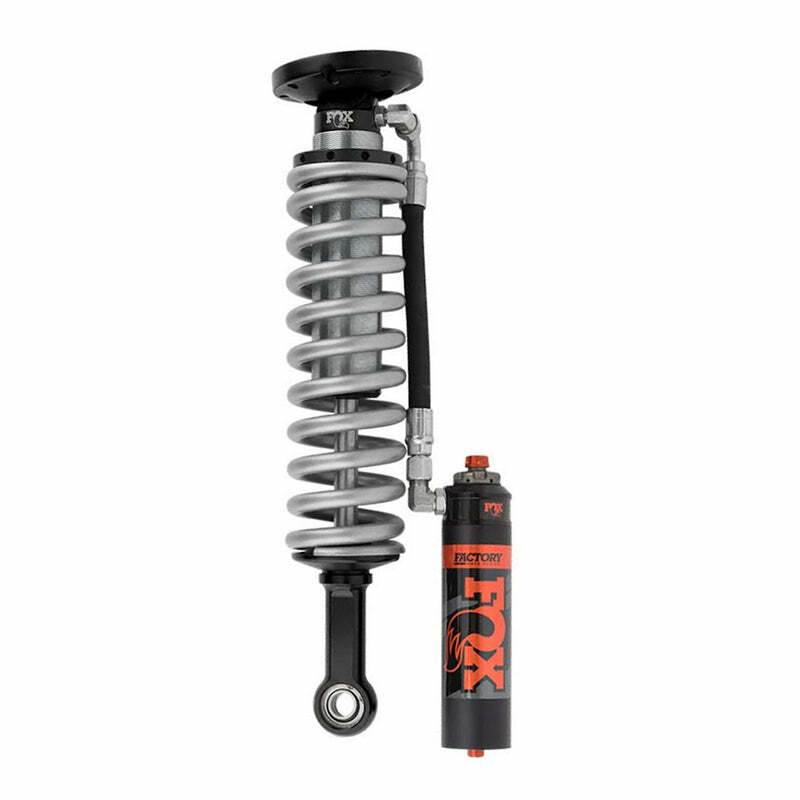 The numerous designs of Fox Shocks allow for unmatched capability for your Jeep, whether thats rock crawling, trail riding, overlanding, or blasting through the dunes and deserts. The Fox's aluminum body protects against everything the world throws at it, dirt, debri, mud, sand, snow - these shocks are heavily rust resistant, making them perfect for areas of high salt content. The numerous options to upgrade your shocks with a thicker body such as the 2.5 Factory Series, reservoirs, or adjustable reservoirs, all will increase the Wrangler's dampening ability going through obstacles big or small. The most popular Fox shock to upgrade offroad performance and heavy duty use. Aluminum bodied, rebuildable, very high pressure nitrogen gas charged. These are great for Jeeps throwing on bigger wheels and tires, or Jeeps that see a lot of dirt, or carry a good amount of camping/offroading equipment. Next stage in offroad performance, all the benefits of the non-reservoir option, but with more travel, and more longevity while offroad, no fade here! Adding a CD compression adjuster allows a firm or soft response, good for various terrain and Jeep loadout changes. Fox's top of the line product for the Wrangler, unmatched quality and performance allows your Wrangler to go anywhere and do anything. The 2.5" body holds significantly more shock fluid protecting against shock fade at medium to high speeds in hot environments. KING Offroad Shocks provides tried and true offroad racing shock design, and they've brought that technology and R&D to the OEM space, giving a range of options for your Jeep or Truck. King and Fox are the two leaders in the offroad racing world in terms of team support and wins, both manufacturers have excellent parts made from near identical components. King’s quality assurance is unmatched, as they intentionally stay small as a company, to maintain quality and service standards surrounding their product. Icon Vehicle Dynamics offers 2" or 2.5" aluminum shocks for most major truck and Jeep models in a monotube design, with a beautiful matte finish. All parts are hand built in Riverside, CA, with exceedingly high quality components, based on non-stop real-world testing in the deserts of Southern California. Expect a more controlled ride with these shocks, reduced body roll on the highway, and incredible road feedback in all terrains. Be the first to know about new arrivals, exclusive deals, promos, events, and more.